We covered Cirith Gorgor’s latest album a while back; this Dutch black metal band is ahead of many of its compatriots in terms of writing coherent black metal even if they face very stiff competition from local luminaries as Sammath and Kaeck. They’ve since released a music video for a track off Visions of Exalted Lucifier with the help of their record label (Hammerheart Records). It’s got plenty of violent and possibly disturbing imagery, and it generally seems appropriate for the music, but I’m not enough of a filmic expert to say why or how in any specific fashion. The full album will release to the public on February 12th, 2016. Today sees the release of “The Fool”, which is definitely the first single from Fleshgod Apocalypse’s upcoming King, and apparently the first time they’ve ever released a promotional single. It certainly seems to cast the band’s music in a poppier light than you’d expect from the rest of the marketing material; consonant orchestral sections and generic melodeath progressions alternate in rapid succession with occasional clean choruses making for an especially basic experience. It seems as if Fleshgod Apocalypse’s modus operandi is to shock and awe potential customers with the novelty of their sound and the clear technical and organizational aptitude that it takes to perform it. If you end up converted and purchase the entire album (which you should be able to starting on February 5th, 2016), don’t be surprised if you tire of it after only a few tracks. In their glory days, Megadeth was always commercially #2 to Metallica – more technically proficient by far, structurally simpler, and literally #2 on the American Billboard 200 when they made their own dumbed down Black Album equivalent in Countdown to Extinction. 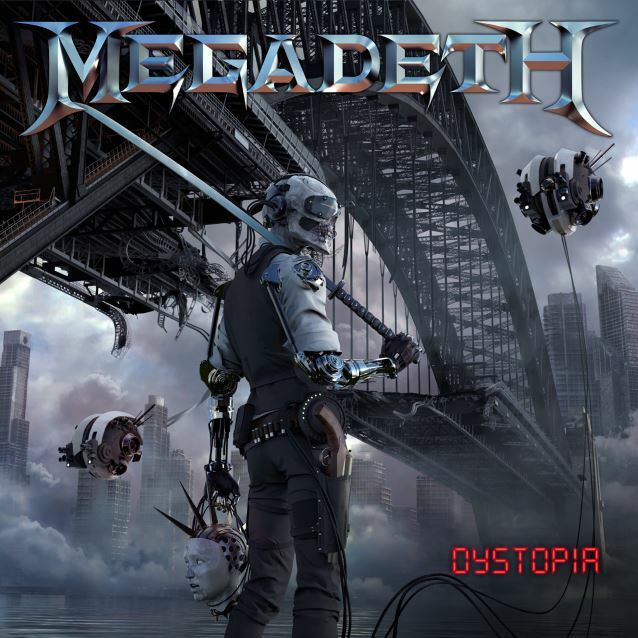 Post-reformation Megadeth has been somewhat inconsistent about what part of their career they want to evoke, but if “Fatal Illusion” is any indication, Dystopia may very well be full of ’80s self-worship. There are some new aesthetic tweaks, like heavily processed, harmonized vocals from Dave Mustaine, but the overall structure of the song is an adequate facsimile of previous Megadeth and ’80s speed metal for commercial purposes. The current lineup of Megadeth notably features Kiko Loureiro (of Angra) and Chris Adler (from Lamb of God) in addition to its two founding Daves (Mustaine and Ellefson), although this track in isolation doesn’t really offer enough information on what their contributions to the band will sound like.